The product's tax, legal and financial advantages make it an asset that should be a component of virtually every client portfolio. Whether your client has estate planning needs, business protection needs, or supplementary retirement needs, cash value life insurance offers great competitive advantages versus alternative financial assets. These advantages fall into three major categories: 1) Tax advantages 2) Financial and actuarial advantages and 3) Legal and contractual advantages. These inherent advantages make cash value life insurance a financial asset that should be an important component of virtually every asset portfolio mix. What about term life insurance? Certainly term insurance has a place in many planning scenarios where protection needs might terminate after a fixed period of time. However, because of its actuarial design, term insurance cannot offer the major advantages offered by cash value permanent insurance. Term insurance ends after a fixed number of years and only pays a death benefit if the insured dies while the policy is still in force. And term insurance is designed to terminate before the usual life expectancy of most individuals. This can create a problem if your client still has certain asset protection or asset accumulation needs that will continue for the remainder of their lives. Cash value life insurance can be designed to pay a death benefit whether your client lives to their life expectancy or not. Of course, permanent life insurance differs from carrier to carrier. Policies come in different flavors depending on your client’s fact situation and risk profile. 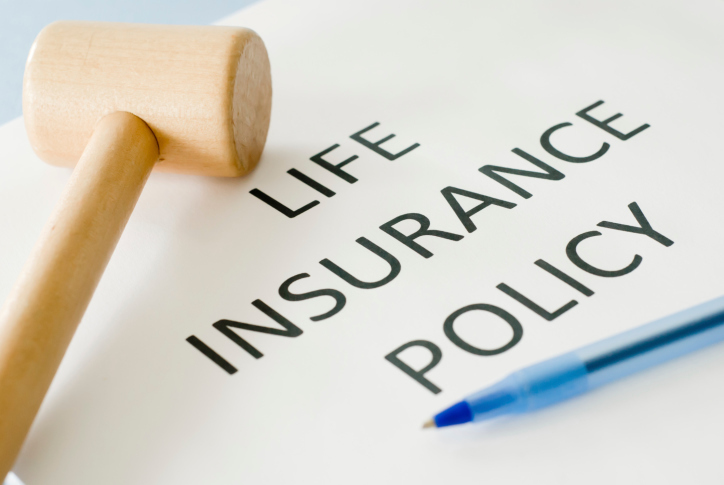 These policy types include no-lapse Universal Life (UL); Current Assumption Universal Life (CAUL); Indexed Universal Life (IUL); and Traditional Whole Life (WL). Most of these permanent types of policies offer a unique combination of features and benefits that place them in a class by themselves. The policy owner may receive an income tax free advance of some of the death benefit for certain long term care expanses, chronic, or terminal illness under IRC Section 7702B or IRC Section 101(g). These potential tax free benefits depend on the design of the policy which may or may not include certain long term care riders. Growth of policy cash values in excess of the cost basis are typically income tax deferred while they remain in the policy. However, a complete surrender of a policy in a gain position will have income taxes on the gain in excess of adjusted cost basis. A policy in a gain position can be exchanged tax-free directly to another insurance carrier under IRC Section 1035(a). Often, this exchange can result in an equal or greater death benefit, lower or no future premiums, or a combination of the both. A policy in a gain position can be exchanged tax-free to another carrier for either a deferred annuity or an immediate annuity contract under IRC Section 1035(a). The policy may be structured so that death benefits have the potential to increase from year to year. Policies may be designed with different crediting methods based on no-lapse guarantees, current assumption interest crediting, crediting based on a stock index like the S&P, or dividend assumptions from certain carriers. The financial security of your clients can be enhanced dramatically with the unique financial asset of cash value life insurance. However, unlike other financial assets, its purchase is not an automatic transaction. Life insurance companies have underwriting rules and guidelines to gather and evaluate the proposed insured’s medical and financial situation. If these underwriting requirements are successfully met, a policy will be issued to the policy owner in upon payment of the premium.